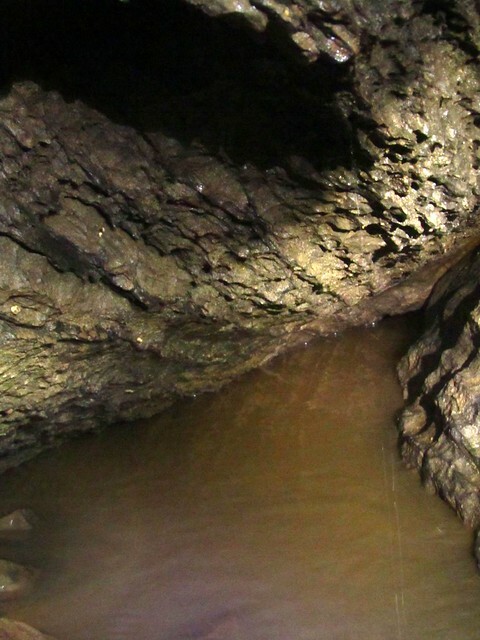 The cave was very dry - duck1 was merely a tiny puddle and duck two was more like duck 1 usually is - a muddy puddle. Due to the fact duck2 was so low we decided to head through it. We hadn't brought a survey with us as we were only intending to repeat the bypass trip we had done a few times before. Tim bravely headed off first, exploring various options. 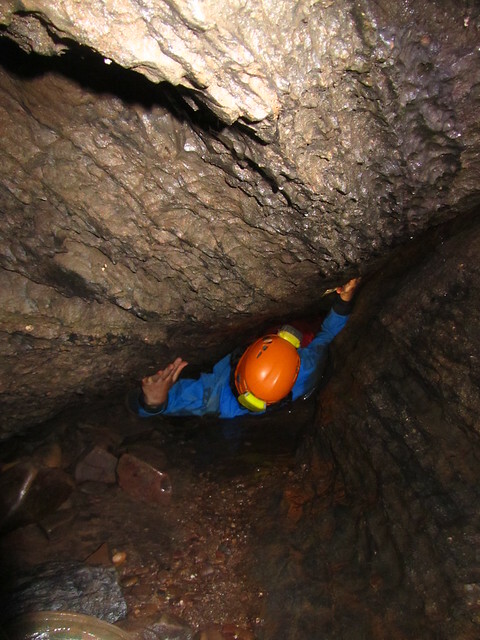 I got to the last section of the crawl and really wasn't enjoying it, mainly worrying being slim I'd slip into the hole to the side, and not get out. Tim and Dave headed off minus me to check out the way on. 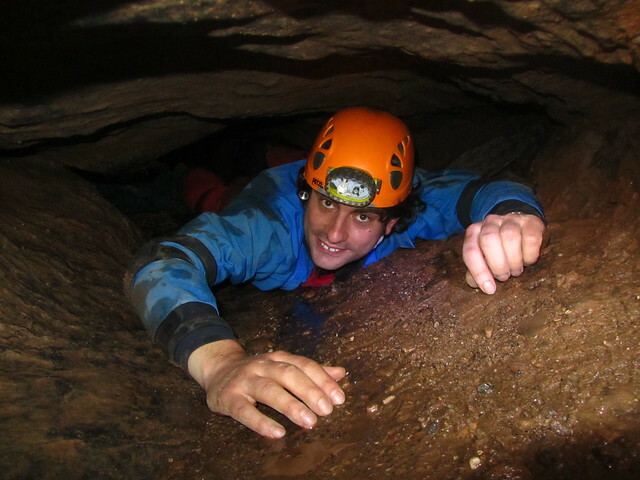 Caver fail on my part, in my defence it's been ages since I've done anything at all crawly/tight. Time was ticking on and Dave had made it to the bottom of a loose looking chamber so headed back to join us. We retreated and headed up the bypass to continue with our known way round. Fast progress was made to Sandwich boulder and we decided to head down what I think is suicide rift. When we arrived at the bottom we soon realised this was where Dave had been earlier! So it was a round trip of a convoluted fashion! Through the labyrinth, and back into the confusing upper series. I was glad to have Tim's kindly hints as I've still not got my head around it despite it being my 4th trip into the cave. We let Dave down slightly by not quite undertaking the round trip as described in Mendip Underground, but we did do it all, just in a different order to the book! If your not a fan of ducks now is the time to do the trip as they are very dry. Talking of manhood, I gave mine a good bashing (pardon!?) on the way out of Duck 2...bit too enthusiastic to get out of there quickly!